Numerous people around the world prefer to format their hard drives by the conventional methods, without the use of professional tools. There is always a risk of data retrieval from formatted hard drives that can eventually affect your business. One should always consider professional tools to wipe the data on the hard disks permanently either on Windows or macOS operating systems. There are plentiful software available in the market that promises complete removal of data from the system. Here we’ll discuss in detail the ways by which one can securely wipe the data from the hard drive. The best way is to erase the data on a hard drive securely is to install a reliable tool that can effectively erase the data on the storage media. Furthermore, one should precisely choose software that has good ratings over the internet. You can do a little research to find a relevant one to avoid any issues with the compatibility as well as genuineness. Apart from this, sometimes it has been seen that people usually ignore the fact that potentially harmful software can harm their system. It is recommended that one should prefer a licensed version from a genuine service provider to avoid any chances of harm to the system. One of the finest ways of secure data destruction is to hire a third-party agency that can easily manage your hard-drives and other media storage devices. These professional service providers have good experience of handling data drives, and they precisely format these drives with the use of latest technology tools. One can get in touch with a local service provider offering best hard drive data wiping services to get the quality work. Apart from this, you can explore the internet to find a reliable service provider that offers finest services. Moreover, it is recommended that one should choose the one with the highest number of ratings, and with proper customer satisfaction. One can also consider the manual is erasing of the data from the hard drive by following some security steps, which ensures adequate security to the hard drive as well as the system. One should always make sure that they are running a genuine operating system that ensures proper safety to the drives attached to the computer. If you wish to wipe the data from an external drive, you must first install an anti-virus on your computer before connecting your hard drive. This ensures that if there is malware or viruses on the drive, they don’t harm your computer. 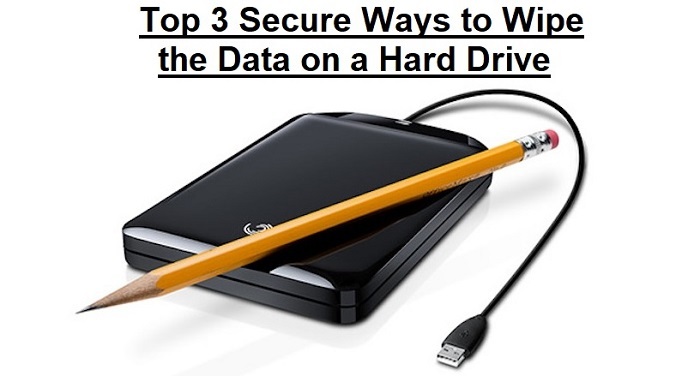 One should always prefer the right tool that is recommended by security experts to avoid any damage to the hard drive and ensures permanent removal of data. You must check out the version of the software that you are using to avoid any issues while the drive is being formatted. Check the hard disk type before choosing the manual formatting option as there are some drives that don't support hard drive formatting without dedicated software.